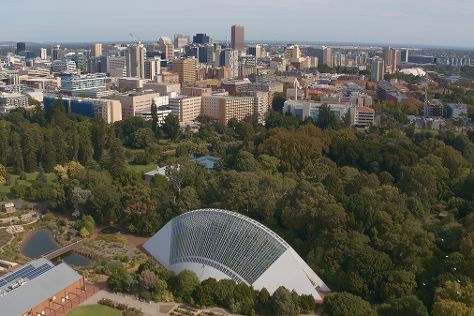 Kick off your visit on the 28th (Thu): take in nature's colorful creations at Adelaide Botanic Garden, explore the world behind art at Art Gallery of South Australia, and then see where the action happens at Adelaide Oval. For where to stay, ratings, reviews, and tourist information, you can read our Adelaide trip site . Alice Springs to Adelaide is an approximately 4.5-hour flight. You can also drive; or take a bus. Traveling from Alice Springs in February, expect Adelaide to be slightly colder, temps between 32°C and 19°C. Wrap up your sightseeing on the 1st (Fri) to allow time to travel to Sydney. Sydney is known for nightlife, trails, beaches, parks, and museums. 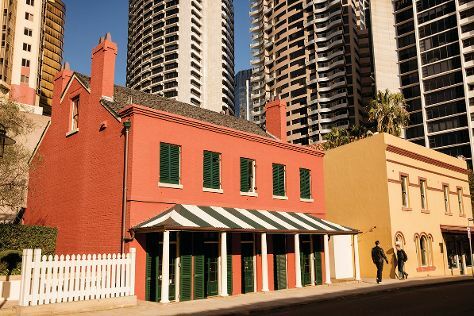 Your plan includes some of its best attractions: appreciate the extensive heritage of The Rocks, catch a live performance at Sydney Opera House, tour the pleasant surroundings at Manly Beach, and don't miss a visit to Mrs Macquarie's Chair. To see where to stay, traveler tips, maps, and tourist information, read our Sydney trip itinerary tool . You can fly from Adelaide to Sydney in 4.5 hours. Alternatively, you can drive; or take a bus. Plan for somewhat warmer nights when traveling from Adelaide in March since evenings lows in Sydney dip to 22°C. You will have some time to spend on the 4th (Mon) before leaving for home.